Arrange 10 pretzels on a microwave safe place. 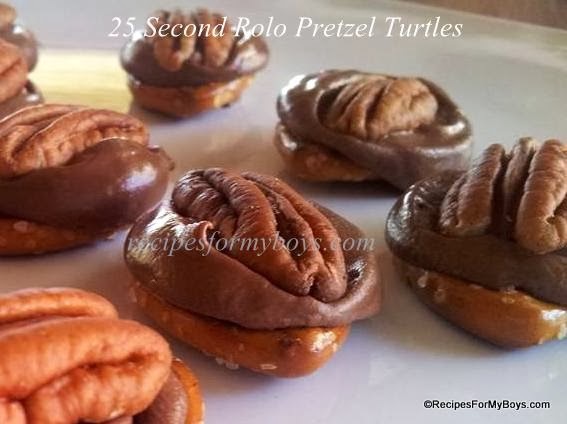 Top with unwrapped Rolo candy. Heat in 1100 watts microwave 20 to 30 seconds, until candy is soft enough to press lightly, yet not melted. Top with pecan halves. Let cool and store in an airtight container.